The Titleist T-MB 716 Utility irons offer speed, a high launch and forgiveness. A thin, fast face provides speed while the high density tungsten weighting provides a low and deep CG allowing for stronger lofts. These two paired together result in a higher launch, less spin and increased carry distance. The T-MB 716 irons also feature a muscle back frame design to provide more forgiveness when combined with the extreme tungsten weighting. The picture is a regular iron not a Hybrid. The picture is the correct club. 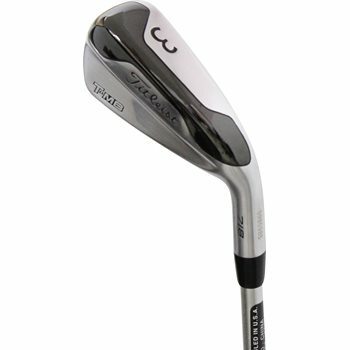 The T-MB is a hollow construction iron meant to perform like a hybrid. Sometimes called a utility iron.